I understand this requires academic verification. 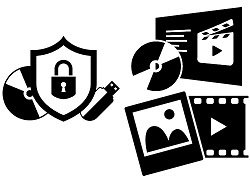 Perfect for securing and archiving data, editing photos & authoring DVDs, here is an easy-to-use, affordable solution. Long recognized as the industry's #1 selling digital media suite, Roxio Creator continues to help over 350 million consumers worldwide complete everyday digital media tasks with incredible ease of use. Copy or burn data, music or media to CDs, DVDs and Blu-Ray Discs. Burn to multiple drives simultaneously. Complement Windows with essential capabilities, such as copying discs, disc image support and disc labelling, in an easy, organized software suite. Secure discs and USB sticks with encryption and passwords. Roxio Creator Enterprise uses a robust FIPS 140-2 certified encryption module with Roxio Burn. Enjoy drag and drop disc burning and copy tools, right from your desktop. Do not risk losing your organization’s irreplaceable data to computer failure or other disaster. Roxio Creator Enterprise data disc and backup features support every drive, format and media type for easy backup, secure archiving and trusted sharing. Burn video to disc with 100+ customizable menus, submenus and chapters. Put your best foot forward and give your video discs the professional polish they deserve. Get the basic editing tools you need to crop, correct color and enhance your photos. Ensure your photos look their best and strengthen your business’s visual communications. Intel® 1.6GHz Pentium 4 Processor or AMD equivalent, 1 GB RAM. 1024 x 768 DirectX 9.0c compatible graphics card with at least 16-bit color setting, sound card, DVD-ROM drive. Hard drive with at least 1 GB free space for installation. DVD and BD copy, video authoring may require large amount of free disk space, up to 10's of GB.